Bulk SMS service is a service for sending short text messages to mobile phones. These messages are short, restricted to 160characters or 224 if the 5-bit mode is being used. Bulk SMS is a service to send a large volume of such messages at once to a large number of people. This message can be sent to mobile phones and smartphones. Bulk SMS is many times referred to as Professional SMS or Business bulk SMS service as it is mostly used to serve professional or business purposes. It is a powerful tool that can send your message to clients across the globe simultaneously within few seconds. Depending on its use, Bulk SMS can be classified as Promotional Bulk SMS and Transactional Bulk SMS. Promotional Bulk SMS :- is used as a powerful marketing tool to effectively communicate your message to a large target audience quickly and safely. It helps to open new doors of opportunity for your business and establish good relations and repo to create Brand value. Transactional Bulk SMS :- is an exclusive service for certain industries. These include banking sector, hospitals, schools, colleges, transport industry, E-commerce etc. This service can be used by Banks to send transaction details and other notifications. Credit Card companies find it useful for alerts etc. Colleges and Schools also avail this service for sending fee reminders or registration details or other important notifications. Transactional Bulk SMS also finds great use in the Transport Sector for sharing ticket details, flight and train schedules and more. E-commerce industry utilizes this service for sending information like shipping and dispatch details, transaction information etc. Bulk SMS offers several advantages that make it highly effective service for business. The beauty of Bulk SMS lies in its vast reach. Utilizing the modern day digital technology, it delivers messages to a large number of people, at one go. Roping in the presence and extensive popularity of mobiles, it can target all types of the audience directly across the globe, wherever they are. It is supported by both regular mobile phones and Smart Phones. The sender need not be technically trained or highly qualified to use Bulk SMS service. Besides, there is no requirement of an internet connection to receive these messages. Bulk SMS has several unique features that make it stand out from all the marketing tools. Leaflets, brochures, banners, hoardings, there are several innovative ways of marketing. However, Bulk SMS Service can reach a large audience simultaneously at very low costs, in contrast to these marketing tools. The cost of bulk messages is quite cheap in contrast to regular messages since they are bought in large quantity, making them even cheaper than e-mail marketing or voice calls. Perhaps, no other marketing tool can match the cost-effectiveness of Bulk SMS. Bulk SMS can be used by anyone. It finds great use in the Business, Corporate, Real Estate and Industrial Sector. It can be used to promote a product, service or any upcoming event. You can run a competition, even a campaign on it. You can share your offers, discounts, announce sales or new products. It can be used for transactions by financial institutions or for notifications by the education sector. Bulk SMS is often used by Marketing Agencies, Advertising Firms, Financial Institutions, B2B and B2C promotions and campaigns, Travel Agencies or anyone who wants to keep in touch with their customers regularly. Not only it works well for external marketing – reaching out to customers regarding promotions and offers but can be also used for internal support for sending messages or notifications to employees within the company. Bulk SMS is a great tool to establish your Brand and win loyalty from consumers. This is because it helps you to connect with your consumers on a regular basis ensuring your presence. It helps to generate leads and sales since it targets only those clients who have opted to receive these messages and are interested in the product offered or the services. Besides, these are very effective since mobiles are usually handy and generally people read the messages within few minutes of delivery making it a very effective marketing tool. No other tool gives this kind of assurance. Another great advantage with Bulk SMS is its operational convenience. All you have to do is select a Service Provider, create your Account, upload your list of recipients, write your message and simply SEND. Within few seconds, your message will splash on mobiles across the globe and within few minutes, it will be read by your discerning clients. These are those people who have chosen to be on your list. Thus, it causes no harassment to people and is convenient both for the sender and the recipient. That is the greatest advantage of “India’s No.1 Bulk SMS Service Provider“. And that is not all. Apart from low costs, convenience, fast pace of delivery, Bulk SMS also offers the advantage of measuring the impact of the messages. If the message has any links, then the number of hits due to that message can be obtained. In fact, the sales gained because the message can also be measured. Online delivery reports and other statistics are available that can help to take effective marketing decisions. Thus Bulk SMS gives quantifiable ROI. There are no limits to what can be done with Bulk SMS Service. We offer a versatile platform for marketing and can be used innovatively to reach a large volume of people with your message in one go. Bulk SMS gives you the power of marketing in your hand, instantly and 24 by 7! Why Do You need to Choose Bulk SMS Service for Marketing? For an inexperienced Entrepreneur, any massive investment in the marketing sector can prove to be a fatal step. It is, therefore, crucial for you to opt for a method that is reliable and effective in order to get a competitive edge in the market. However, in today’s time and age, bulk SMS service for marketing is to be a really effective marketing strategy. In this mobile-friendly world, you’ll hardly find anyone without a cell phone. And with mobile phones extending their reach to just about every corner of the earth and with SMS becoming an incredibly popular means of communication, Bulk SMS service for marketing in Delhi has emerged as an effective marketing technique. Since Short Message Service (SMS) is gaining popularity, there are several different types of messages services coming up today in order to keep pace with the expectations of the people. This has also led to the advancement of the Bulk SMS Service provider in Noida and pan India. Today, Bulk SMS in India has created a huge sensation amongst the entrepreneurs as it allows them to send messages to thousands of clients and customers with just a click of the button. Today, almost every e-marketing company is making use of the service of bulk SMS Service for marketing in India to reach a vast range of people. So, what exactly is Bulk SMS Service? Let’s find out! Bulk SMS is basically a process that lets you send messages to multiple mobile terminals in one go. The messages are sent via a computer system. Given there are over 4 billion mobile users, Bulk SMS Service Provider in Noida and the rest of India are increasing at an alarming rate. Besides, this definitely is a reliable and effective marketing strategy not only for MNCs but also for new and inexperienced entrepreneurs. But, why is bulk messaging so popular? Here, let’s take a look at the multi-faceted features of bulk SMS service. All these features make it a powerful marketing tool especially for the inexperienced entrepreneurs who wish to kick off their marketing campaign. In comparison to the other marketing strategies, in bulk messaging, you do not have to stick to a proper time schedule. You can send messages to your customers at any time convenient to you. Since the entire marketing is handled by either a service provider or a software, it saves a lot of your time. You can use this time to focus on your core business activities. Another key advantage of the bulk messaging service is that the response rate of the bulk messaging is higher than other marketing strategies such as banner or TV ads. In order to make use of the bulk messaging software, you do not need any additional experience or qualifications. Simply provide the mobile number of your customer, type your message and click the send button. Since the messages are delivered to the customers directly within a span of few minutes, it not only improves the productivity of your business but also brings immediate traffic to your website. One of the most important features of the bulk SMS service that makes it a preferred marketing tool for the inexperienced entrepreneurs is that it doesn’t require a lot of investment. You can use this service either via a reliable bulk SMS provider in Noida or via a software. In case, you do not have enough time to do things on your own, it is best to hire a Bulk SMS provider in Noida. You can also use a software to do things for you but the service providers are better equipped and have a better reach. This is because they make use of a range of APIs such as SMPP, HTTP, SOAP and SMTP to send a message. So, it is a good idea to hire a service provider to do this task for you. With bulk messaging, it is easier for you to connect with your customers. You can send them alerts, updates, and notifications with regards to your products or service. It is better if you use a more personalized tone to make your customer feel that you care for them. Since, bulk messaging results in immediate sales, it is easier for you to manage it. You do not have to monitor the results or wait for a while to see the impact of this marketing strategy. In a span of few days only, you will get a clear idea about the reach and effectiveness of your marketing campaign. The entire concept of bulk messaging has made SMS marketing very simplified and quick since the messages are sent directly over the direct to mobile gateways. With the help of this marketing, strategy businesses can reach their customers and clients at a time convenient to them and yet experience a positive result. However, for your mobile marketing strategy to be successful, you need to ensure that you get in touch with a reliable service provider. One of the most reliable Bulk SMS service providers in Delhi NCR is Value one. Do check out their website to know more about their services. Started a new business? Wish to expand your business and reach new heights? Want to make your business known to the masses? Well, now it is possible with the help of bulk SMS service. Bulk SMS service, today is a cheaper, faster and convenient way of promoting the startups as well as established businesses. In the present day, it is considered the easiest way to reach masses in a very short span of time. So, what is this bulk SMS service? Bulk SMS service basically means broadcasting a promotional message to a huge group of people at one time. This makes the process of promoting your products or services only a click away. Why should you opt for Bulk SMS strategy? Traditionally, small businesses used leaflets to promote and market their business. Those who could spend more gave out newspaper advertisements. Even today, these strategies are relevant. However, with the advent of several reliable Bulk SMS Service in Delhi, bulk SMS has become a more trusted and simple solution for marketing your business. The market today is stiff and competitive. In order to stand out and make your business known, you can use bulk messaging service. It will help you stand out from the conventional promotional measures like leaflets and newspaper ads. Moreover, it is a reliable means to spread a word about you to the customers without getting overshadowed by the alternative promotional schemes. If you get a reliable bulk SMS service provider in Delhi, then sending bulk messages will be nothing more than a three-step process. First: Draft an attractive and informative promotional message for your business. Second, send it to the bulk SMS company. Third, tell them to broadcast it for you. As soon as the bulk SMS company broadcasts your message, it will help you accentuate the clientele base of your company with just a single message. So, if you wish to take your business to new heights, bulk SMS is a safe bet. Moreover, it is a fast and an efficient process of reaching millions in a very short span of time. 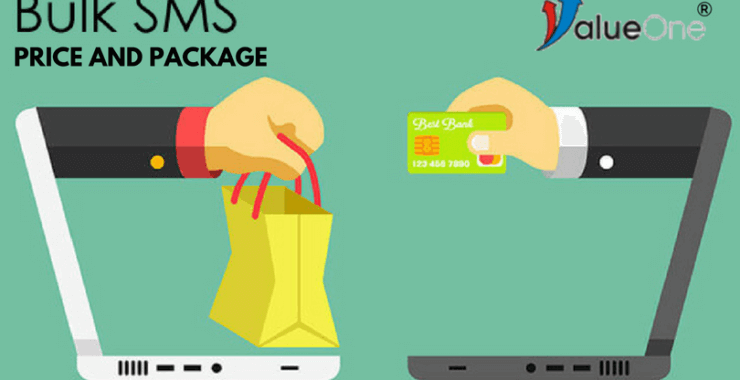 A good bulk SMS service provider in Delhi, will not only give you a package that lets you send bulk SMS but will have a multi-feature package wherein, you can receive messages from your customers and get instant delivery reports to assure that your message has at least reached its destination. Sending notifications and alerts to existing clients, etc. The best part is all this and more is done at a very cheap rate. If you go around looking, you can find a number of companies working in this sector of the market. Their job is to broadcast the messages during the stipulated time without any delay. One of the biggest challenges that any bulk SMS company has to face is handling the SMS traffic. Another bulk messaging service, that these providers provide you is the missed call service and voice messaging service. This is necessary to ensure that your message doesn’t go to dump and is read by the end customer. Now after reading this article, you must have realized that technology really has raced through a lot. In the coming time, it will only give us better, faster and more efficient ways to promote a business. But in the present day and time, bulk SMS is definitely a great way of promoting a business. It is a tried and tested technique that has received phenomenal reviews from most of the companies that have tried it. Moreover, with the popularity of mobile phones, it is safe to conclude that the gen next will definitely like it better than reading advertisements in the newspaper or being handed over a leaflet. 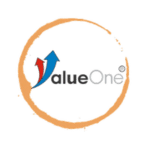 So, be a part of this new age promotion and you can get in touch with any reliable Bulk SMS provider such as Value one, to help you promote and market your products and services at a large scale. Value one provides you with the cheapest packages. So, even when you have to send 1 lac bulk messages, this company will be most cost-effective. Do get in touch with them to know more about their packages. How to create successful branding through bulk SMS Service Here’s how! Do you own or run a business at any time? Are you promoting it via Bulk SMS Service in India? If not, you are leaving a lot of money on the table. Bulk SMS is exceptionally popular these days and are now used by more and more companies to promote, market and brand their business. So, how can one create a successful brand name by using the bulk SMS? Here, we have come up with 7 compelling reasons .why you should begin using Bulk SMS Service are part of your marketing strategy? If you run a business, you already know that there are several sides to a business and over a hundred good ways to do a thing. But, the time to do these things is very limited. This is the reason why there are several abandoned projects. However, if you opt for bulk SMS Service in India over the traditional marketing strategies you can free up a lot of your time. How? All you have to do is set up your message and take a walk. After you come back, all your messages would be sent. Moreover, with the advancement in the features offered by the Bulk SMS Service provider, you can even follow up on the prospects in a more personalized way. The major struggle that the businesses face with their customers and potential customers is that they have the authority to decide and ignore the marketers’ adverts. However, with the bulk SMS service, it is almost impossible for the customers to ignore the messages without having to read them first. As you know, TV ads can be skipped, phone calls can be ignored, online ads can be blocked, newspapers ads can be jettisoned, but the messages that are sent by the Bulk SMS Service Provider, just can’t be ignored. According to a well-circulated statistics, 95% of the text messages are read within the first 15 minutes of delivery. If this is true, then you know that the probability of bulk SMS in India to be ignored is very less. We live in an over-communicated world. Despite that, attention has become a scarce commodity today. However, attention is something that is highly coveted by the marketers. Only the enterprises and the businesses that are prosperous are able to grab the eyeballs of their potential and existing customers. And they ought to pay for it through the nose. However, today, things are changing or rather, say evolving. Thanks to the Bulk SMS, you can now grab the attention of your target audience, cheaply and certainly. We are so addicted to our mobile phones, that we just cannot stand the sound of a ringing mobile. This makes us anxious to check it out. So, the entire process of Bulk SMS Service in India works on challenging the human curiosity. Moreover, a ringing phone is said to be the most powerful sound in the world. And if you know, people carry their mobile phones always, even when they are in the loo. And that’s just the beginning of the era. Going by the statistics, there are 20% of people who will respond to your text messages. However, that only does little to help you grasp the actual thing. This is because there are other variables associated with it such as the quality of the database and the effect of the message. Together all of this attribute to the effectiveness of the SMS marketing campaigns. So, if you keep a note of these things, Bulk SMS is definitely the most profitable marketing strategy in the world. Now, when would you want your clients or customers to see your marketing message? If you want them to see your message at 12 in the afternoon, send the message at 12 and it will reach it to them at that very time. However, this factor does not consider the other aspects that aren’t in control of the Bulk SMS Service Provider such as a phone is off or out of coverage area. In other cases, there is no waiting, no delay, and no traffic jam. One of the most vital metrics in any business is CPA i.e. the Cost Per Acquisition. What is CPA? CPA is the entire market expense made to win a customer. If you calculate the cost, per advertising method, you’ll understand as to how expensive it gets for a business to acquire a new customer. However, if you compare the Bulk SMS service, to other marketing strategies, you’ll realize how unbelievingly cheaper it is. Having said all the above, it is crucial for you to know that bulk SMS do not exist in a vacuum. In order to be able to fetch the true potential of the bulk messages, you have to integrate it with other marketing approaches such as websites, phone calls, pay per click ads, email marketing, and others. However, it goes without saying, that the type of marketing strategy chosen by you, will depend on the kind of product or service that you are selling keeping in view your marketing objectives. But the agenda here is, bulk SMS tend to naturally lend itself to integration, effectively and cheaply. Are you still confused whether you should use bulk SMS as a prime strategy to promote your business? We’d suggest you jump on the bandwagon right away and reap the benefits of this incredible marketing strategy. 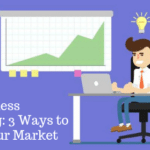 Take note, even if you are dilly-dallying and not using this business strategy, your competitors are using it and might show you the way out of the market. So, get in touch with a reliable Bulk SMS service provider such as Value one and start employing this strategy in your business. How To Make Your Bulk SMS Campaign Successful? Bulk SMS campaign which is predominantly known as mobile marketing is one of the most effective and efficient ways that the business houses and enterprises use to market and promote their products or services by way of mobile phones. Earlier, when the business houses used bulk SMS marketing, it had a negative impact. This was because the business houses made use of cold database and began spamming their receivers. But things have changed now. These days, there is a broad set of guidelines provided by the network providers for the bulk SMS providers and its users. As a result of this, Bulk SMS campaign in India has evolved as an effective marketing tool. In the present day, millions of text messages are being sent by business houses in order to pass on the promotional contents to the customers. Since, the Short Message Service is majorly used by the businesses to inform the customers about special offers, new product launches, and freebies, it is gaining immense popularity amongst the customers as well. This sums up the raging popularity of the Bulk SMS providers in Delhi NCR. It has been almost a decade since the first text message was sent using a mobile phone. However, today things are changing. Nowadays, SMS software is being used by business houses to send bulk SMS in India and promote their businesses. Why? This paradigm shift can be attributed to the fact that in the present day and age, traditional marketing strategies such as banners aren’t as productive for the promotion of the business given the excessive competition in the market. But how can you make sure that you SMSs don’t get spammed? In order to do that, you need to ensure that the SMS campaign designed by you is such that it conveys what it is meant to convey. So, what are the best possible ways for you to start an SMS marketing campaign? Basically, there are two ways of it. One is the use of bulk SMS campaign providers in Delhi NCR and the other one involves the use of an SMS software using which you can make use of the SMS for promotional purposes. So, which one should you opt for? In case, you have enough time and resources to cater to the entire SMS service campaign which would involve everything from sending bulk SMS in India to documenting, monitoring and more, then you can use the bulk SMS software. You can also seek assistance from a reliable bulk SMS provider in Delhi to avoid any regrets in your campaign. Now, how to ensure the 100% success rate of your campaign. Here we have come up with quick and easy ways that will help you ensure that your campaign is successful. Firstly, you need to draft a well-planned budget. This is necessary to avoid any unnecessary hassles and regrets in the future. When you have an SMS campaign that is planned well, it will be easy to manage and will help you improve the productivity of your business. You can seek the help of any bulk SMS provider to plan your budget accurately. First, you need to plan your budget to avoid unnecessary regrets later. A properly planned SMS campaign will be easy to manage and improves your business productivity. Next, when you send a message to your customer, make sure that you send only what’s relevant. For instance, if you are sending a bulk SMS in India that talks about a cash prize of 10,000 INR, it will attract a mass customer base. However, these are temporary customers that might never convert to potential customers. On the other hand, if the message sent by you talks about your upcoming products or services, it will generate more traffic and help you retain more customers. Thirdly, when you seek help from a bulk SMS provider, make sure you brief them about your target audience. This will help them draft a message in a manner that immediately attracts your audience. Your message must be simple and precise. If you send an elaborate message, it might get frustrating for your customer to read and understand that message. You must, therefore, create a message from the perspective of a customer. Your words must be tempting and strong enough to bring them to your website where they can explore your products, freebies and new services. Next, you must always instruct the Bulk SMS providers in Delhi NCR, to not go overboard with messaging. You don’t have to irritate your customers by sending them messages on regular basis. If you send only useful messages from time to time, there will be some customers who would sign up for your message alerts in order to stay updated about your product and services. Lastly, instruct the bulk SMS provider to send only those messages that are compatible with all the mobile phones. Further, you must include an unsubscribe option in your message in order to create a good impression with the customers regarding the serving. In order to make your campaign successful, you need to keep a strict note of all the above-listed prerequisites. If you fail to do so, your messages will go in spam and your money will be wasted. In addition to this, you must always buy a correct datable from a credible provider because if your message doesn’t reach the right audience, your campaign can never be successful. So, pay strict attention when selecting a provider for bulk messaging. One of the most reliable providers in Delhi NCR is Value one. You can seek help from them to get best results. In the present day and time, there is a surge in the market for Short Message Service i.e. the SMS. There is barely anyone today who doesn’t make use of the text message service. A recent study also proves that people today prefer SMSs over voice calls. Such statistics motivate marketers and present them with humongous opportunities to use Bulk SMS Service in India. Sadly, bulk SMS service is today a highly abused medium of marketing. Thus, it is important for businesses to leverage the power of this medium of marketing. This is possible only if you follow a set of guidelines when sending bulk messages. Here, are 6 best practices to follow when sending Bulk SMS in India. Before you send bulk SMS in India, you need to ensure that the consumer or the client has agreed to receive the messages from you. This can be done by a prior web opt-in or keyword opt-in facility. Acquiring permission from your customers when using bulk messaging in India is definitely the most efficient method of building a reliable bulk SMS database. However, in order to do this, you need to make it easy for your customers to join your messaging list. But before all this is done, do let your customers know, how often will you be sending messages to them. Secondly, it is always a good idea to work with shortcodes that are easy to memorize. You will never want your customers to feel that it is a task to memorize the codes for you. Sadly, for the small business houses seeking short dedicated codes, things might seem a little too pricey. In such a case, sharing the codes with non-competitors can be beneficial. You can request a reliable bulk SMS provider to help you in this case. Thirdly, when you Send Bulk messaging in India, you need to resist your temptation of including all the details of the offer. You have an upper cap of 140 characters so you have to make sure that everything that is important is mentioned in these 140 characters only. Always remember that an effective message should include ‘what’s in for the customer’. This is what will lure your customers. An effective message should include only plain and simple language with texting shortcuts that are widely prevalent in order to avoid any confusion. The relevancy of a message can just not be overemphasized. Even if the message that you draft is extremely creative, it will not matter to your customer in case it isn’t relevant to them. Targeting and segmentation play an important role here. Thus, when you craft your message, you need to take into account your target group and the demographics. Seek the help of a bulk SMS provider, to better understand your target group. Bulk messaging in India is a great strategy to build a unique and lasting relationship with your customers. However, this is possible only if you send out personalized messages to your customers. When sending bulk SMS in India, make use of the first name of the subscriber in your SMS message. It is a great way to make your customers feel important, valuable and special. Lastly, you need to inquire about the bulk SMS provider about the provision of scheduling your messages before hiring them. This is extremely important because even if you craft the most relevant, creative and exciting SMS ever, it would be in vain if it isn’t timed right. For instance, if you use bulk messaging in India during the daytime, when people are usually busy, it will go wasted. Thus, in order to get a response from your customers, you need to make sure that you send the messages at an appropriate time. Now, are the messages that are sent late at night or early in the morning effective? The timing of your message depends mainly on the preferences and the characteristics of your target audience. In order to find the right time, you need to undergo continual testing. Sending bulk messages is the ideal way of harnessing the potential of your local market. As you already know, marketing based on geography is at an all-time high these days. Thus, bulk messaging is exceptionally important for local businesses. Mobile messaging is a great way for the businesses to connect personally with their clients and customers. It is a way to offer them ‘instant’ value at a local level. Bottom line? While making full use of the bulk messaging facility, you need to focus on the bigger picture. What you need to know is that even when you try hard, the results might not always be very pleasant. However, this does not mean that you sideline this aspect of marketing. In the long run, bulk messaging can be used for customer education, strengthening public relations and generating leads. Do not lose focus and always remember your reason for sending these messages. To be able to send messages, you need to make sure that you employ the services of a valuable bulk SMS provider that not only offers you reliable services but also provides feature based messaging service. One such provider of bulk messaging in India is Value one. Trust them for their services and you’ll see your business grow to new heights. In the present times, business houses irrespective of the size are reaping the benefits of bulk messaging in India. This low-cost facility helps you in instant communication by sending out bulk messages to colleagues and customers alike. Mostly the large enterprises have access to an IT department that offers this vivid communication tool but then what are the small and mid-sized business houses supposed to do? There’s something for you as well. Now with the advent of technology, you don’t need to have an in-house IT department or be a whiz-kid to acquire the benefits of bulk messaging in India. Rather you can head to a bulk SMS service provider that can help you send bulk messages to market and promote your business. Any reliable bulk SMS company will provide you with. • A to Z pricing list. • Single point of contact and. • An easy to use interface for you to send out bulk SMS service. Now, for those business houses and individuals that are new to the bulk SMS service, you might be wondering if there are different ways to send bulk messaging in India and more importantly, how does this entire thing work? Keeping this in mind, we have come up with a quick and easy breakdown of the three different ways that the business houses can use for bulk messaging in India with the help of a reliable Bulk SMS service Provider in Delhi-NCR. Whichever method you pick, all you need is a standard computer without any specialist knowledge or training. In the nutshell, sending out bulk SMS is as easy as sending an email. This is one of the most popular ways to send out bulk messages. For this, you simply have to log in to the website from a PC or computer and you are ready to send messages. After you log on to the website, you’ll see that sending messages is very similar to sending emails. The good thing about this service is that you aren’t limited to one computer or one browser. You can use any computer from any part of the world to access your account and send the messages. As a result of this, the user has a greater flexibility when they have to send messages online either from their office or home or whichever place suits them the best. The second way out to send bulk messages to India is by downloading an application on your PC workstation, MAC or a Linux computer. This too is a very simple method and is just as easy as the online SMS messaging. In this, all you’ll have to type your message just as you’d do in the case of a regular message or an email and send. With the help of a desktop SMS application, the user can also reduce the cost of sending out bulk messages by optimizing their routing. The third way by which bulk SMS company lets you send messages is via a spreadsheet. It is perhaps the easiest way out. In this, you can send messages by way of an add-in for a spreadsheet application. Unfortunately, there aren’t too many bulk SMS providers that offer this service. But this one makes sending bulk messages, a breeze. With this, the business houses can employ the information that is stored in their spreadsheet application i.e. the message templates, names or phone numbers to send out the text messages. When you are using this method, you don’t have to exit the spreadsheet application in order to switch to the SMS application. There is an add-in which lets you send the messages directly from the spreadsheet. You just have to highlight the contact details, highlight or write the message from the templates and click on send. There is also a provision to customize your messages and receivers from within the information that is entered into your spreadsheet. Bottom line is that sending text messages online or via a spreadsheet add-on or via a desktop application are simply some straightforward methods of sending bulk SMS service. So, if you have little technical expertise or can hire a freelancer to work for you, then the world is at your feet as far as bulk messaging goes. You can just set up a system and send these text messages. So, next time you wish to test your business card to a prospective client contact or you want to remind someone of an appointment or a job vacancy, use the power of bulk messaging and see things work for you with absolute ease. In case you wish to send bulk messages to India, one of the most reliable service providers is Value One. Do try out their services and you’ll find sending messages has never been easier. Huge establishments as well as the large-scale enterprises require massive infrastructure, employee a number of people and have a high turnover. All business houses work with a prime agenda of staying relevant in the market. This can be achieved by Bulk SMS service. So, here we have come up with 8 key ways in which the large business houses and enterprises can use bulk SMS service to manage, market and promote their business better. In order to manage the staff effectively, communication is the key. It can be quite a task to communicate with the staff. Things get worse when the number of employees is huge as seen in several large-scale enterprises. By way of a bulk SMS service provider, internal communication can be made easy. Using the bulk message free service, you can send all the important messages pertaining to notifications about the firm to the employees. This is necessary to ensure that all the employees are kept in the loop. Bulk SMS service can also be used to send notifications to eligible candidates in case of fresh recruitments. These SMSs could be notifications relating to communication of employment offers, interview calls, calls for aptitude tests or any new job vacancy advertisement. When a business enterprise is organizing a training program, workshops or seminars, bulk SMS service can be very effective. These seminars and workshops are organized to accentuate the productivity of the staff. So, using a reliable bulk SMS service provider, companies can intimate the staff about the impending seminars or workshops. Services of a bulk SMS provider can also be used to intimate your customers or clients. In case there is a system breakdown which might hamper the delivery of your products or services to the clients, it is your responsibility to intimate them in advance. Moreover, it is their right to be informed. So, you can use the bulk message free service to keep them informed of these developments. If you do that, they would be able to trust you more as they would know anything that’s important for them is told to them well in advance. It is a good strategy to retain old customers and acquire new customers. If you have a bunch of satisfied customers, your goodwill in the market will increase. Moreover, there is a chance that they’ll refer your name to others in the business. For business houses that wish to expand their return on investment, marketing via bulk SMS service can be a good alternative. For this, all that you need to do is, acquire the phone numbers and details of all the prospective and existing customers and send them SMS via a reliable bulk SMS provider. In this manner, you can make them a partner in your marketing campaign. This is a good technique to inform the customers of new discounts and promos, advertise the new products and send out notifications relating to new products or services. There are several business houses and enterprises that make use of short codes for the marketing of their business. All valuable and lasting friendships are built on prolonged and regular communications. This very rule applies to retain your customers as well. Business houses must work to ensure that the customers are not just a medium of income for them but also their friends. This can be achieved by way of the bulk message free service. Several top business houses also use this type of service to appreciate their clients from time to time. You can also use this service to acknowledge the milestone events of their lives, send festival wishes or even just thank them for connecting with your company. There is nothing that helps retain a client more than the feeling that you really care for them and they are appreciated. Several large and medium-sized enterprises also make use of the bulk message free service to get honest feedback from the customers on the quality of the products or services offered by them. With the help of the bulk SMS service, enterprises can seek a response to any particular service or an aspect of the firm’s product or service with which they aren’t satisfied. Commendations are also an option. It is a great way to find out the direction in which your business is moving. This is a great strategy to stay relevant in the market. In today’s times of tough competition, follow-ups with prospective clients and customers are extremely important to expand your business. There are few customers that do not connect with you on the first go but are slightly interested in your product or service. With them, you need regular pestering. So, if you contact them on regular basis by way of free messaging service, there is a chance that they might agree to connect with you. For business houses that already have to telemarketers a prime source of business promotion and marketing, it can be a great way of finding out all the clients that may be interested in doing business with you. There is a chance they might never connect with you ever. But as you know, every new connection is only profitable for you so, you do not stop trying. Follow them up with bulk SMS and see the results. There are innumerable ways in which the bulk SMS service can help your business grow. The above listed 8 ways are only a tip of the iceberg. So, use this incredible service and see your business reach new heights in just a short span of time. If you are looking for a reliable bulk SMS service provider, Value one can be a great alternative. In today’s time and age, bulk SMS is becoming extremely important for a company to reach its wide customer base. Using this service you can reach as many as 10,00,000 users with just a click of the button. Now, when you know that the service is so important to help you reach your clients and users spread across the country, you ought to know, how to pick the best Bulk SMS Service in India? Let’s find out! Factors to consider when selecting Bulk SMS Service in India? Does your chosen provider of bulk messaging in India offer a vast range of functions and features? Do they have different ways of sending bulk messages? What are the useful functionalities of their services? For instance, does your chosen bulk SMS company, provide you with an HLR lookup service for you to confirm your contact information? When you use the HLR lookup, you can double check the identity of the subscriber and their phone number. This is helpful in saving money which would have gone waste in sending out messages to invalid numbers. Besides this, you must also look out for features such as a delivery status of messages and messaging scheduling. Besides this, the company must provide for a two way messaging. This is necessary when you want the customers to follow up your SMS. When the provider offers a vast range of services, you can save a lot of money in the long run. There are several providers of bulk messaging in India, that claim that they offer an absolute coverage across the globe. However, as you know the question is not about the coverage but rather the reliability of the provider, hence you ought to be very careful in your choice. For instance, if the primary route is blocked, does the provider have an equally reliable backup facility? So, when you opt for a provider of bulk messaging in India, do take a note of the countries and operators that they are connected with. Enquire them about their route to the destination. All of this is critical in selecting a bulk SMS provider. Sometimes, bulk SMS price quoted by a company is very low. This low price often has an impact on the quality of the network. If the network quality is below par, it might affect the speed of delivery of messages. In some cases, the messages might even be lost in the way. If the message fails to reach the recipient, it is a waste of your money and time. A good bulk SMS provider will usually have direct routing or rather a network of their own. Whenever a provider offers you a free trial make sure you test the quality of the network. Please know that there will be some providers that will offer you different routing options for bulk messaging. In that case, it is for you to decide whether speed or cost is more critical in that case. Sending or receiving messages is not difficult. However, if you watch out for the odds of different mobile operators and geographical location, the problems associated with the bulk SMS service are huge. Thus, you must always opt for a bulk SMS provider which not only offers you a great service but also backs it up with round the clock customer support either by way of email or chat or both. In this manner, you can get support irrespective of the time of the day, a day of the week or your time zone. It is important for you to know that several companies that offer below than normal bulk SMS price often tend to compromise on the customer support. So, before you select a provider make sure you take a strict note of this factor. Usually, The payments for this service is done in advance. So, after you make the prepayment, the service provider will convert your money into credits. These credits will be deducted when you send the text messages. However, there are other service providers that maintain a monetary account that is debited by them once the text messages are sent. Whichever company you use, you need to know that a provider requires you to send out a minimum number of messages within the specified time limit. So, when you select a service provider, make sure you take a close look at the payment mechanism and the minimum order requirement set by them. In case your requirement is huge, you can request them for further discounts. When you are pre-paying for your bulk SMS service, you need to do a proper background check of the bulk SMS service provider company. So, do a thorough check of the credentials of the company to ensure that your money doesn’t go in vain. Low prices and discounts are often believed to be the prime driver of sales. However, you must always keep in mind, ‘you get what you pay for.’ To this adage, bulk SMS is no exception. Enterprises have to make a choice between paying less in the present and then paying more later when they experience glitches in the service or paying a decent amount to avail the service of a reliable bulk SMS Service in India. So, when you are selecting a company for bulk messaging in India, you need to take note of factors beyond the bulk SMS price. What are these factors that ought to be considered? This is not all. Here, let’s take a detailed look at the factors of consideration before selecting the provider for bulk messaging in India. The above-listed factors are important when selecting a bulk SMS provider. One such reliable provider is Value one that not only offers best bulk SMS price but also assures great service. The marketing campaigns in today’s time are quite advanced and use technology to its fullest strength. The power of the internet and other sources have made it easy for both businesses reach out to a large target audience. Bulk SMS service data in India has been quite attractive for the past decade and has helped several small & medium companies spread out their campaigns in a much more confident manner. You need to get in touch with a trusted bulk SMS service data in India to learn about their designed software that can help you send bulk messages to a wide range of clients. But, how will you initiate bulk SMS sending? Below mentioned are 10 vital points that will help you source bulk SMS data in India. It is important that you maintain the motive of the SMS clear and understandable. If you desire that the recipient should respond or act after your SMS, do tell them the value of the information as well as the added benefits they will gain afterward. Do not forget to measure the effectiveness of your SMS marketing promotion; it is crucial to judge its influence on improving it in the future. Try to note the count of responses you got, together with the calculation of the rate of investment. Furthermore, you can even indulge in texting various offers at different times of the day. Moreover, switching between different customer groups is also a good practice. One must always try to select the right time for sending SMS campaigns to the set group of customers. In case you wish to generate a response, then ensure you offer customers adequate time to do so. If you are using a send bulk SMS online tool, then you can use the scheduler option to draft messages and deliver them at the preferred time. When can I send the Bulk SMS Service campaigns? Should I send SMS daily or weekly? Always remember that, the customer’s convenience is the foremost thing to target. Hence, sending messages too often can make them annoyed and might also force them to unsubscribe the service. But, if you keep a longer gap between messages, in this case the customer might lose interest. There isn’t any fixed count of messages you have to send weekly or monthly; the frequency should be fine-tuned on the basis of your set audience as well as the motive of the messages. If you need to gain results from your bulk messaging India campaign, then do set an expiry date involving discount vouchers and coupons. This limitation on time leads to the generation of urgency among the customers and hence causes greater conversion rates. You can add an SMS keyword to enhance the list of customers who choose to accept your specific SMS alerts. Hence, you can print this on various platforms to attract a huge list of followers. Do remember, SMS marketing can transform into something pushy if the SMS is sent to someone who hasn’t granted permission. Therefore, safeguard your organization’s reputation by certifying all recipients have given permission to actively interact with them. The bulk SMS Service company software wouldn’t assist you in this activity. But, you need to yourself analyze the recipients who are probable to show interest in your messaged offerings. Also, each of your sent messages has to be custom-made to discrete customer groups. Make sure you take into consideration a variety of factors such as age, location, gender and past purchases before sending bulk messages. Make good use of insert names and mail merge aspect, appointment times as well as other customer-definite details while framing your messages to give a personalized touch. Moreover, you can even brand the text by implementing the Sender Name on the message. If you are practicing sending messages to old numbers, beware as it can prove costly. Be assured to track and delete the contact numbers which cannot be reached. Also, send bulk SMS online recipient list should also be checked on a timely basis. Keep your contact groups managed properly, and resist repeated sending of SMS to same recipients. Your communication needs to be kept unique and engaging. If you are in search of a reliable partner which can help you sort your bulk SMS marketing worries, then do refer http://us-valueone.co.in/.